Cornwall: land of climbing dreams. The BMC International Meet this year is based in West Cornwall from 12 to 19 May. The week-long event will showcase some of the finest traditional sea cliff climbing in the UK, as well as fostering international relationships. Britain is unique on a world level in its approach to climbing and has a rich, well-documented history, full of quirky characters and routes to match. 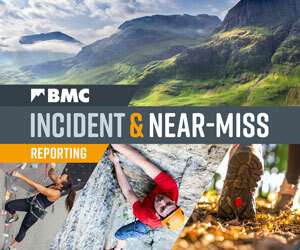 BMC International Meets aim to put British climbing on the world map. They are a great opportunity to meet a varied bunch of people, and make new friends. The 2013 Meet will be based at the Climbers’ Club Hut (The Count House), a 200-year-old building perched above Cornwall’s finest granite cliff – Bosigran. There will be approximately 70 climbers from 24 different countries coming along for the week from: Belgium, Cameroon, Croatia, Finland, France, Germany, Ireland, Israel, Italy, Latvia, Malta, Netherlands, New Zealand, Norway, Poland, Portugal, Romania, Serbia, Slovenia, South Africa, Sweden, USA and UK. During the days, international climbers will be paired up with UK host climbers, and teams will head out to sample the full delights of Cornish sea cliff climbing. In the evenings there will be presentations including: 'In Extreme Danger' by Frank Cannings (UK) about the BBC documentary of the epic Lundy rescue in 1971 and 'Sport Climbing in the Maltese Islands' by Bonnici & Alden (Malta). If you are climbing in the area why not come along and say hello? We will be at The Count House most evenings, apart from the Monday and Thursday. Local musicians jamming. All welcome, bring your own booze, your instruments, and your general shin-dig lovin! Live DJ Catrina D’Olive mixing awesome calypso latino beats, with a dance floor for shape throwing! Bring your own booze. All welcome from 9pm. Read the report on the last BMC International Meet held in Cornwall in 2010. Becky, will cream be provided or do we have to bring our own? Personally I prefer a nice slab of clotted.